It looks cool! Maybe they'll give me a free one. Not likely. Do you remember when I asked Amazon to give me a free Kindle? My argument for getting one, you may recall, was that some authors received free Kindles, and I was not one of them. That made me feel not-special. I intuitively understood that a free Kindle would make me feel special again. I asked and asked and blogged and blogged, and Amazon said, sure, we’ll give you a free Kindle. And then they didn’t. We can all agree that’s not very nice. 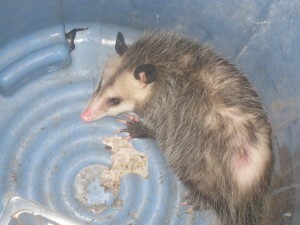 The opossum I found in my garage. I caught it and released it like an unwanted Kindle. Well, now the story has a happy ending, because the Kindle is about to be crushed, and I will laugh and laugh and laugh at its demise, because I never received a free one. By now the entire planet has heard about the new Apple iPad, and I think we can all agree it looks ultra cool. Web surfing, ebook reading, all kinds of exciting aps, the ability to read comics books – good for a guy in the biz like myself. Granted the $499 price tag is a bit steep, but I figure that will come down in time, and the iPad’s superior versatility will make up the difference. All in all, I predict the Kindle will be removed from the market like a nasty, scabby opossum is removed from my garage. This is truly a great day for people who have not received free stuff when they asked for it. Oh, and for a laugh, check out this blogger’s post, in which a person I don’t remember accuses me of having been rude in 2003, and I respond. Thank you, internet, for letting me know when people are talking about me! At the newsstand, I couldn’t decide between this and Commentary. This last point is not a connection I was especially looking to draw. If anything, the story wants to draw a link between pain and saying, “ouch,” but every reader will take away his or her own conclusions. 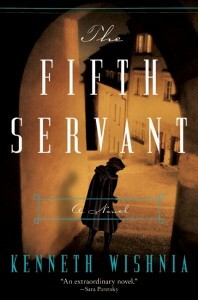 The only conclusion to take away from Kenneth Wishnia’s new novel, The Fifth Servant, is that it rocks. It’s just out today, so pick it up at a book store or streaming e-book portal near you. I’ve always dug Wishnia’s writing, but his first entry into the rarified and mysterious world of historical fiction is his best effort yet. This thriller, about a rabbi in 16th century Prague attempting to solve the murder of a Christian child, before the twitchy gentiles lower the boom, is not only compelling and exciting, but it is historical fiction done exactly right. Great stuff. 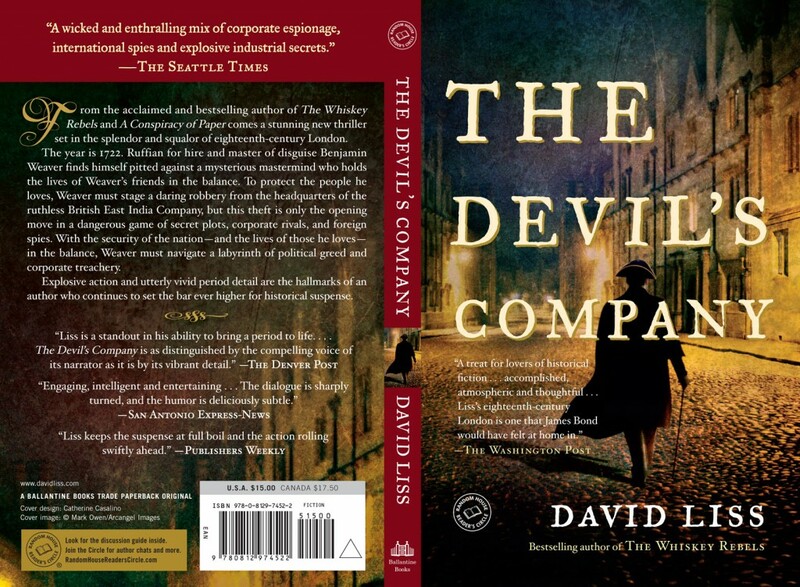 And I invite you to enjoy the cover art for the paperback version of The Devil’s Company, out April 26th. They’ve completely reworked the cover, and I like the results. What about you? Is this better than the hardcover, worse, or no significant difference? You know how much I value the opinion of anonymous people on the interent. But, since the art is already set, if you don’t like it, keep your opinions to yourself. I am very sensitive. I am told that readers like updates on my work, so here’s one. I’ve just sent the manuscript for my next novel, The Darkening Green, off to my editor. That bad boy is done. At least for now. The edits and tweaks will come later, but I am very happy with what I’ve done. Right now the book is vaguely slated for spring of 2011, and I will be posting more updates soon. In the meantime, let’s just say that this is a very different sort of book for me. In some ways, I’m still grappling with economic history – the background is the Luddite uprisings in England in the early 19th century – really the first organized resistance to the industrial revolution. To some extend the book is interested in how technological progress, for all the good it has brought, also destroyed countless lives, and ways of life, all over England and later the world. On the other hand, the book flaunts more famous people than I usually like to work with – in this case, William Blake and Lord Byron. It also has a female protagonist, and it represents a move into an entirely different genre. I like to think of it as historical urban fantasy. It was also a blast to write, and I can’t wait to get it into the hands of readers. And now, Anthony Trollope -like, I will immediately being work on something else. No breaks for me. Meanwhile, it is time to catch up on some old news I should have posted earlier. First of all, swell pal and brother of the book-writing business, Mark Haskell Smith, has recently published an article about his research at the Cannabis Cup in Amsterdam. And here I am, like a sucker, researching 19th century Nottingham. Many of you may know that I’m a big fan of Mark’s whacked-out brand of hilarious crime fiction — I have even used his novel Moist as a teaching text for a creative writing class. I read a very early draft of his forthcoming novel, Baked, and I am super-psyched to read the finished book. But enough of praising other people. Let’s talk more about me. 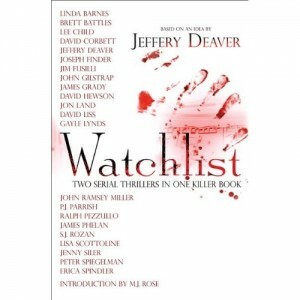 I somehow missed the pub date, but now available for you to purchase is Watchlist: A Serial Thriller. Watchlist is comprised of two multi-author projects that were previously only available as audiobooks: The Chopin Manuscript, in which I do not have a chapter, and The Copper Bracelet, in which I do. 22 authors were involved in this thing, and it was a blast to contribute along with some of the biggest names in thriller-writing. The real stars of the show are Jeff Deaver, who begins and ends each book, and Jim Fusilli, who heroically edited the projects – both great guys, by the way. Here’s the whole list of everyone involved. Many of them are my friends. One of them is my blood enemy, and I will have my revenge. This weekend I finally made it to see Avatar, an experience augmented by the venue, the Alamo Draft House: a movie theater that has truly mastered the art of serving beer during a film. What follows is more a reaction to the movie, not a review, so be aware, spoilers abound. Don’t read unless you’ve seen it. I’m going to mostly be criticizing the film so I should probably preface these remarks by saying that I enjoyed watching Avatar. It was a long movie, made longer by the clunky 3D glasses, but despite all that, I had a largely pleasurable movie experience. That said, I didn’t have as pleasurable a movie experience as I wanted. 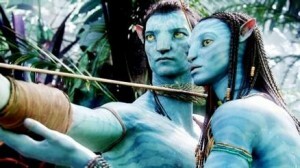 The fact is, Avatar was marketed as a game-changer, a movie like Star Wars or The Matrix that would set a new standard. It didn’t. First of all, I thought the 3D added nothing but an additional distraction. Other than kids’ movies where 3D provides an additional wow-effect, I don’t think anyone has figured out how to use 3D to real advantage, incorporating it into the narrative experience. Avatar in no way represented a significant step forward. If anything, I found the 3D apparatus distracting, and I likely would have enjoyed the beautiful vistas more in sharp 2D. But mostly, my problem with Avatar is its political message. I’ve seen several self-satisfied pieces on how ironic it is that a movie that is so critical of technology is, in fact, the product of so much technology. But Avatar is not anti-technology. The mining and military technology in the film is obviously demonized, but the scientific technology facilitates peace, love and understanding. So those clever reviews aren’t so clever after all. 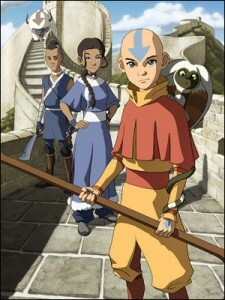 Actually the totally-unrelated cartoon, Avatar: The Last Airbender is, in all ways, far superior. I'm not joking. Avatar is not trying to go after technology but rather rapacious capitalism, and this is where the movie troubled me. I’m all for clever critiques of unjust capitalist systems – some of my favorite movies, from Mr. Smith Goes to Washington to Robocop do a fantastic job of incorporating this kind of social critique into an engaging narrative. My problem with Avatar is that its analysis of unfettered capitalism is so banal as to be meaningless, or maybe even counterproductive. The company is bad because it is willing to destroy aliens and nature to get its precious ore, and I think we can all get behind that, but it’s worth taking a look at how the film responds to the crisis it establishes. The aliens unite to fight back against the military might of the company, but in the end, they fail. It is nature itself that rises up against the company and defeats it utterly. This finality is absurd. At the end, we are supposed to believe having lost the battle, the company concedes it has lost the war, and now its content to leave all that precious ore alone forever. Not very likely. But beyond a silly and unsatisfying resolution, what is troubling is the implication that nature itself can undo the company’s evil work. In other words, Avatar promotes a laissez-faire theory of resistance. If nature is really upset enough about what corporations are doing, it will send some hammer-headed rhinos to take care of those pesky market externalities. The implied corollary is that if nature is not rebelling, how bad can all that destruction be? Besides serving up the most libertarian interpretation of revolution ever conceived, Avatar is always skirting the edge of racial insensitivity. The natives of planet Pandora seem to be a curious mixture of Native Americans, the elves of Rivendale, and my cats, and they are presented as idealized noble savages who live in perfect harmony with nature. Even the glowering alien who emerges as the protagonist’s love rival turns out to be a stand-up dude. But of course the protagonist emerges as the best and most capable alien of them all. You know how it is. Those native people can do their thing, but a white American guy can come in and, after a very short amount of time, do it even better – sort of like Dances with Wolves in space. Ultimately, Avatar’s weaknesses come down to an elevation of special effects over content, which is common enough in these big budget blockbusters. The sad thing is that one or two more drafts of the script could have fixed a lot of these problems. The movie had its heart in the right place, but it failed in its story-telling execution. The end result is something like a film version of the Warren Smith song, “Ubangi Stomp” – it’s enjoyable enough, but it ends up leaving you unsatisfied and vaguely offended. So, here we are. Another year. San Antonio people, why not start the year out right? With me! I’ll be reading along with local author, homicide detective, and beer-drinking pal Joe McKinney this Thursday, January 7th, 6:30 PM at the Central Library (600 Soledad Street). I will most likely read from my novel-in-progress, The Darkening Green, which I am mere weeks away from submitting. 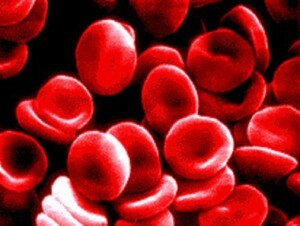 Blood, such as what came out of my hand in vast quantities, after playing the Wii. I still have the scar. In other news, my father bought my kids a Wii for Hanukah. Thus far, I think only the sports games – the ones that take advantage of the Wii technology – are any fun. I don’ t hold a grudge against the gaming system, despite the time, when using my brother-in-law’s Wii, I got a little excited playing tennis, jumped up, and smashed my hand into a lighting fixture. Technically I should have gotten stitches, but my daughter had her birthday party that afternoon, so I ended up bleeding all over the local Pump It Up. Good times. In other news, I saw this banner ad while browsing on Amazon. Personally, I don’t know anything about this book, nor do I particularly give a crap about it. Maybe it’s good. Maybe it’s not. What am I, a fortune teller? The point here is that the ad refers to it as a “novel of historical fiction.” Is that insanely clunky, or is that just me? Does the fact that I’m grumbling about the wording in banner ads mean I’m getting older. Am I turning into a nut like the crank who used to send me hate e-mail because he didn’t like that I used the past perfect in my novels. I haven’t received anything from him in a while. Maybe he’s dead. Amazon, you will recall, makes the Kindle. I don’t own a Kindle.